Welcome to Platinum Jewellers. 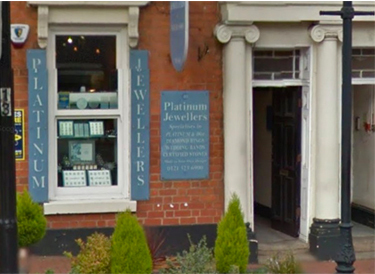 Based in the heart of Birmingham’s Jewellery Quarter, we are a working Jewellers specialising in Platinum and 18ct Gold Engagement and Wedding Rings. We hope you enjoy viewing our collection, please do not hesitate to contact us – whatever your requirements. We offer a handmade design service with in-house workshop and an extensive range of certified diamonds in stock. We also house a vast collection of wedding bands in platinum, gold & palladium including plain, patterned and diamond set styles.